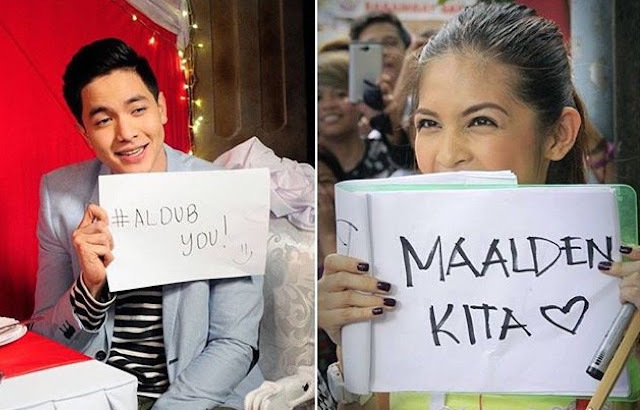 From the time “AlDub” fever intruded our homes via television and in our consciousness through social media, Alden Richards and Maine Mendoza aka Yaya Dub's love team seems to be getting more popular each day. As of last weekend's edition of Eat Bulaga where the two finally cross paths and embraced and pledge romantic adoration for each other without restrictions, they broke FIFA record in Twitter by amassing more than 39.5 million tweets in just one day. Major newspapers carried banner stories and pictures of what transpired last October 24, 2015 at the Philippine Arena; fans were screaming and crying. 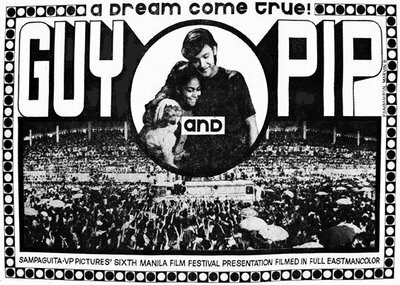 This kind of pandemonium was seen 40 years ago; remember the “Guy and Pip” love team of the seventies? Indeed, similarities were instantly pointed out by those in the know especially among the Noranians. However, there are still many people who disagree that this love team is an incarnation of Nora Aunor and Tirso Cruz. Here are the reasons why. The love team relies on Alden Richards shoulders to carry it through. Take note that movie love teams where usually billed as ladies first instead of gentlemen first. Thus, you have Vi and Bot, Rosemarie and Ricky, Sharon-Gabby, and Kathniel for example. Basically, it is the women who swoon at love teams, not so much among the male population. Nora and Tirso have gifts. It means that they have real talents; thus, this love team has still countless fans until today. Alden Richards is not even competent to carry a tune. It is still doubtful if Yaya Dub has other talents beside dubsmashing. This is why there are many individuals who pointed out that this is just a fad because these two lack real talents; they are just competent performers. The good news is that talents can be developed over time and who knows these two might be serious in developing not only their romantic relationship but their talents as well. Social media spreads like wildfire and this is a disadvantage. Basically this love team is a creation of illusion in the same manner that love teams of long ago were fashioned similarly. However, news did not travel fast in the early days; thus, stars and celebrities had the advantage that news will not spread quickly and damage their popularity. A simple act of indiscretion from either of the two will instantly ruin whatever gains they have acquired. During the “Guy and Pip” era, it was easy to perform “damage control” as there were no social media networks then. Thus, what you have then were not news but rumors, gossips, and intrigues which were neither confirmed nor denied. The formula for success of “ALDUB” can be replicated easily; thus, the rival station managed to create their own similar feature in “It’s Showtime.” Fortunately for Alden and Yaya Dub, “Pastillas Girl” earned negative reactions; hence, the rivalry went pfft before it even started. Sooner or later, there will be other viral sensations and if ALDUB will not take the initiative of reinventing, they will be eaten by new YouTube sensations. “Guy and Pip” can never be replicated in terms of popularity but it doesn’t mean that there can never be like them. 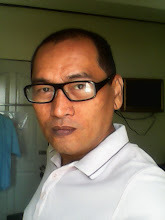 Handlers of “AlDub” should consider analyzing 360 degrees what made Nora and Tirso clicked for several decades so they will know how to make Alden and Yaya Dub relevant for decades, not just a flash in the pan affair. There should be more than to the “kilig” factor in order to sustain popularity and make them interesting for a longer period of time. FOr the author of this blog.... Walang balak sila aldden and maine gayahin ang guy and pip in terms what they did in their carreers sa showbiz... They were asked to to this .. becuase the bosses of eat bulaga thought it is better to give a tribute sa phenomenal loveteam before. Aldub was humbled to mimic guy and pip even they are a very big star now. Note that the love team is almost 4 months old. The episode of kalye serye gaya gaya pa more GUY & PIP is just a tribute for their contribution in Philippine entertainment. - No Contest. For the record, the post was published before the gaya-gaya pa more segment. I have a feeling that EB may have heard about the comparison between ALDUB and Guy & Pip; hence, they choose the latter for the segment last Saturday.